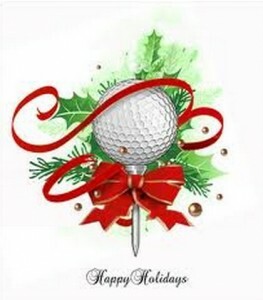 Everyone is invited to participate in the Holiday Golf Tournament on Sunday, December 16. Shot Gun starts at 10:00am. The format is a “Scramble”. The entrance fee is 350 pesos per person. Non member green fees are $40 USD / $45 USD with a cart. The teams will be made up of foursomes and if you would like to play with your friends, you can sign up as a Foursome. Individuals can also sign up as we will make up those teams into balanced Foursomes. The tournament is open to all golfers, members & non-members with or without partners. There will be Breakfast at registration. An Italian Buffet will be served after the event, during the awards ceremony. Register online or in the Pro Shop. Registration closes Friday, December 14 at 5:00pm. This tournament fills up fast, so register soon!